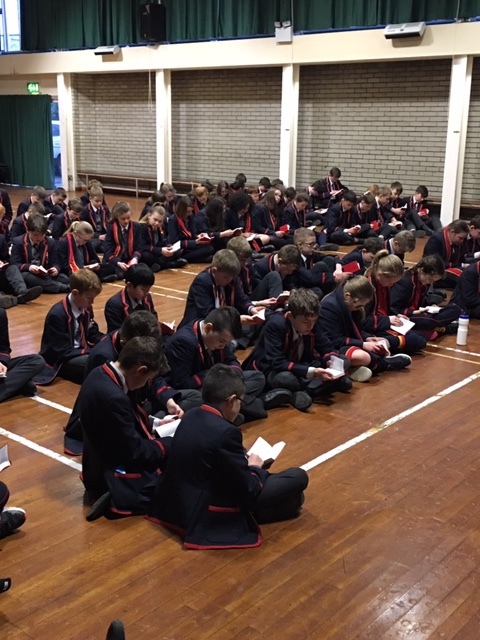 On Tuesday 5 February, Year 8 pupils received Gideon Bibles from Stuart Johnston and Andrew Gordon in their morning Assembly. Stuart gave a brief history of the Gideons movement and Andrew then read some verses from Psalm 145. 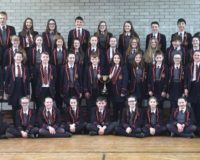 The pupils were able to look up these verses in their new personal Bibles and follow the Psalm as Andrew read. Mrs Armstrong, Head of Year 8, thanked the guests for coming before dismissing the pupils.